Julius Erving looks on during a BIG3 league game against Ball Hogs at Spectrum Center. The last time basketball fans in Philadelphia were able to celebrate an NBA title, it was Julius Erving and the 1983 Sixers taking down the Los Angeles Lakers. Thirty-five years later, Dr. J has a statue in Camden and a lot of confidence in the talented young Sixers team led by Ben Simmons, Joel Embiid and J.J. Redick. While many have suggested the Sixers are capable of a deep playoff run, few have had the guts to declare this team — considered by most to be ahead of schedule — a championship contender. There's Charles Barkley, sure, but considering the rest of his NBA predictions this year, that's a dubious endorsement. 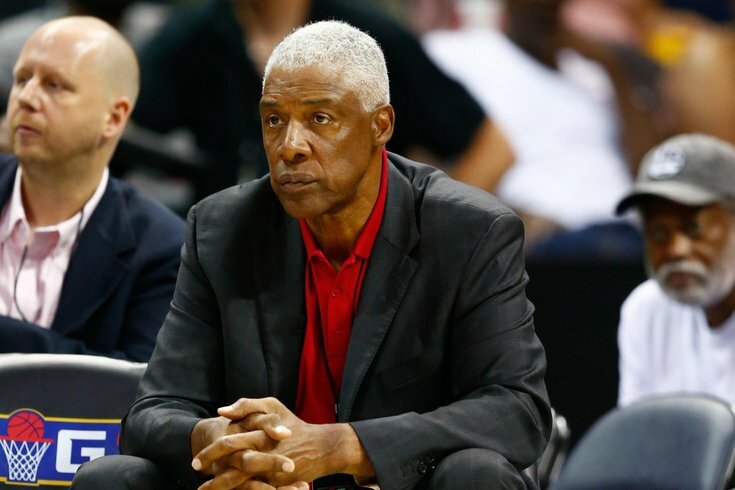 Dr. J was approached by TMZ on Friday and asked for his assessment of the Sixers' chances. He believes in them here and now as they prepare to start the playoffs at home Saturday night against the Miami Heat. "Based on how they're playing now, they can go all the way," Erving said.